Progressive rock juggernaut Anglagard reformed to acclaim in 2012, releasing the quite excellent Viljans Öga (AMN review here). 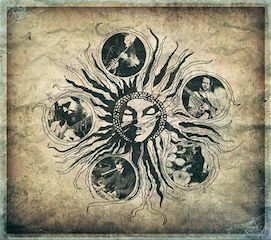 They are back again with this 2CD live album featuring tracks from their fractured 20-year history. Recorded in Japan in mid-March of last year, the group consisted of only five members rather than the usual six. While my initial concern was that this one-guitar lineup would be unable to reproduce the nuanced layers than make up the Anglagard guitar-guitar-flute-keyboard-bass-drums sound, they manage to meticulously cover material from all three of their studio albums. In some places, guitar replaces keyboards or sax replaces guitar, but the renditions here rarely diverge from the originals. The album begins with the only new piece, the seven-minute, atmospheric Introvertus Fugu. Following that is Hostejd from their second album, Epilog. While Hostejd was never one of my favorites due to it being stiffly composed, the group pulls off a compelling and workmanlike rendition. The last two tracks are Langtans Klocka from Viljans Öga, and the powerful Jordrok from their debut Hybris, both stellar examples of symphonic progressive rock. The second disc features only three tracks. It begins with the majestic Sorgmantel, probably Anglagard’s most involved track to date, and finishes with Kung Bore and Sista Somrar, the former the only track on this set with vocals. Handling vocal chores are original member Tord Lindman, as well as Linus Kase. While vocals were never Anglagard’s strong suit (as they were never featured after Hybris) , they are carried out quite well here. As for Sista Somrar, this rendition contains an atmosphere that evokes the change to darkness that the track represents. As noted above, the material on Prog på Svenska is an accurate reproduction of the music on Anglagard’s studio releases. Unlike types of rock and jazz that involve improvisation, this live recording does not offer much in the way of a new reading on the Anglagard oeuvre. However, it is still a winner for fans of the band, especially since the group’s recorded output is rather minimal. A night of the finest music from those who were at the vanguard of the 1960s London jazz scene, including several of the first players of free jazz. With Dave Green (bass), Paul Clarvis (drums), Peter Hurt (sax), and Barry Green (piano). Deemer is an installation/performance based electro-acoustic ‘twomanned’ orchestra, whose aural narratives are created within fluid frameworks that map a trajectory in time, but leave the sonic textures and compositions entirely free. Corey Mwamba creates music using vibraphone, dulcimer, and electronics. 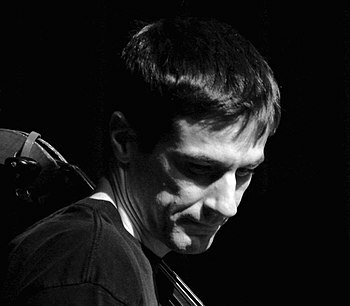 His music contains elements of jazz, folk and electronica. The result of what was meant to be a one-off performance in commemoration of the late Lol Coxhill, the music produced by this formidable group of improvisers proved so good it seemed natural to continue. Consisting of two legends of improvised music in Trevor Watts (saxes) and Terry Day (drums), and two younger veterans with their own international reputations with John Edwards (double bass) and Tony Bevan (saxes), it’s hard to describe the quartet as anything but a supergroup.